Eschenbach joined BMW in 2006. MUNICH – BMW AG has named Erich Ebner von Eschenbach the next boss of its powerful financing unit. 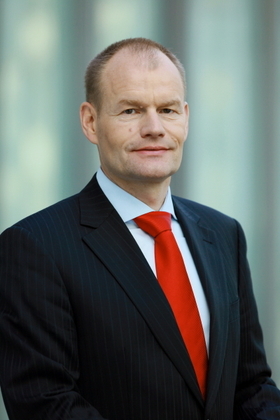 Ebner von Eschenbach, 48, will replace the retiring Georg Bauer, 59, as CEO of BMW Financial Services starting Jan. 1 2011. In 2009, BMW Financial Services, which provides loans and leases to retail customers and dealers, reported revenues of 15.8 billion euros ($19.5 billion) and an operating profit of 355 million euros. By comparison, BMW's auto division reported a 265 million euro operating loss last year on sales of 43.7 billion euros. Ebner von Eschenbach joined BMW in 2006 as head of group treasury, a post that will be filled by Norbert Mayer, 55, who currently is responsible for corporate finance at the BMW AG. Before Ebner von Eschenbach started with BMW he was in charge of finances and administration at Munich-based IT specialist Softlab Group, which was renamed Cirquent in January 2008. His career also has included stints at Hypo Vereinsbank AG in New York, were he rose to head of corporate finance, and Bayerische Vereinsbank AG in Munich. Ebner von Eschenbach has a degree in business administration from Munich's Ludwig Maximilian University.